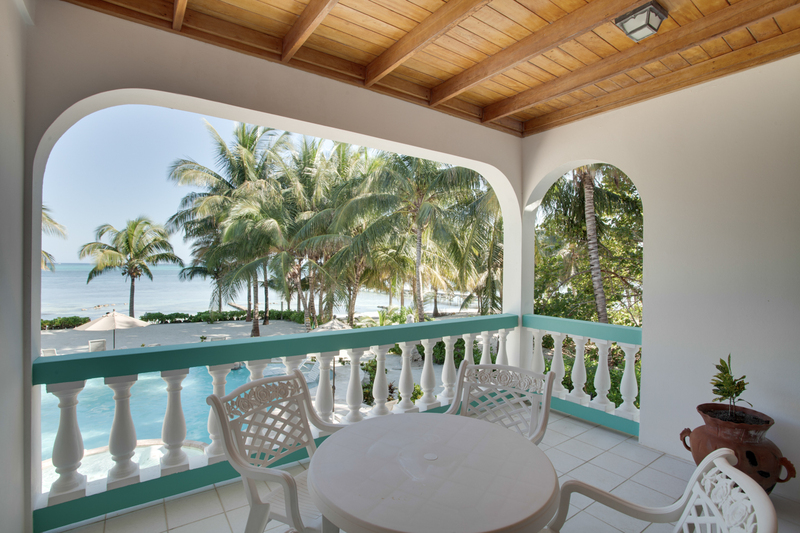 Coral Bay Villas offers you beautiful beachfront accommodations with a spectacular and unobstructed view of the Caribbean Sea and Barrier Reef. 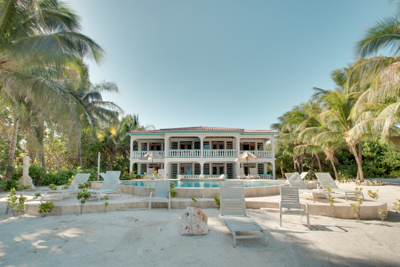 Our six unique villas are situated on a pristine white sandy beach, shaded by majestic palms, each with French doors that open directly facing the private swimming pool and Jacuzzi, not to mention the amazing view and breeze. 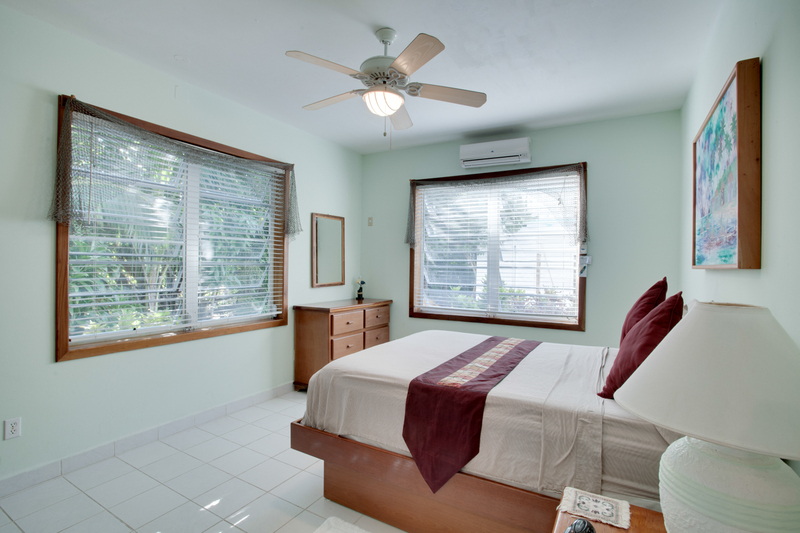 Coral Bay Villas is a small, peaceful complex and caters to guests over the age of eighteen. 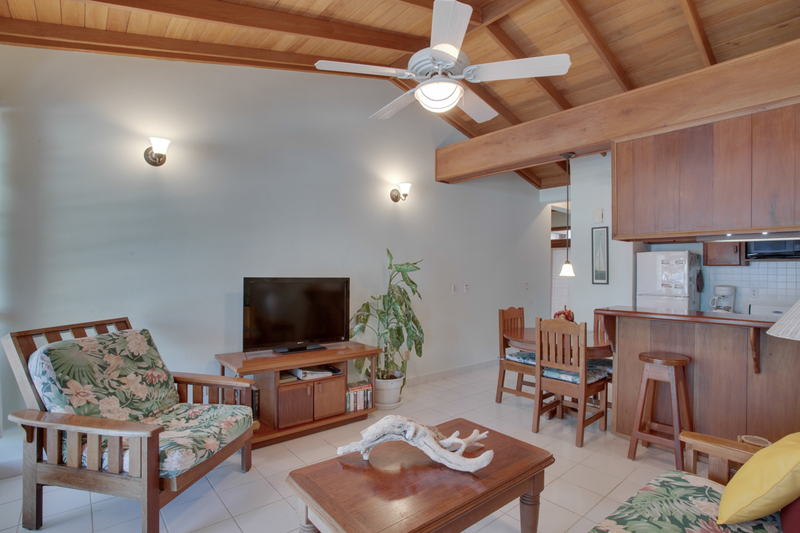 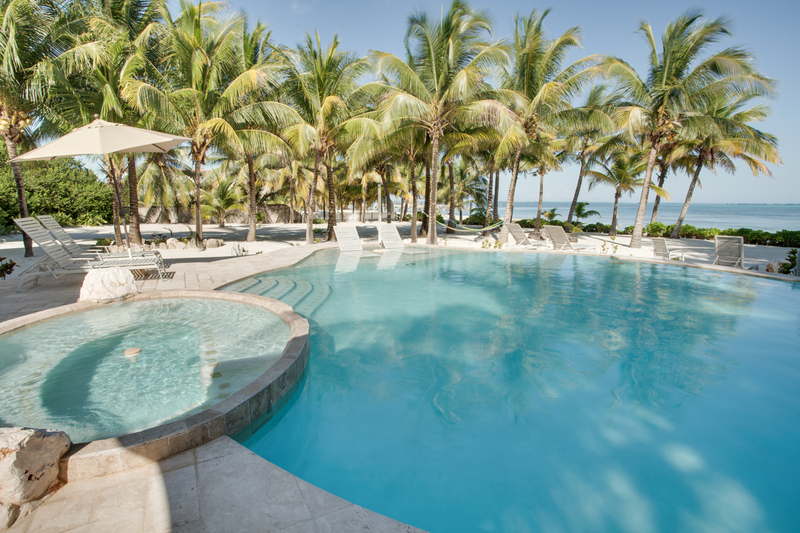 Whether you are looking for tranquility or adventure, or some of each, we invite you to come, enjoy our clean, comfortable accommodations and experience our incredible island paradise. 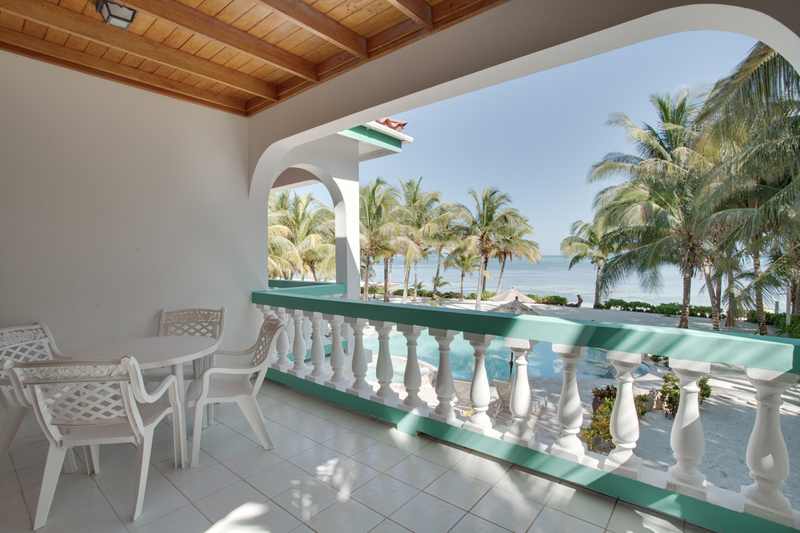 Our lovely complex is located a short fifteen minute walk south of San Pedro Town - close enough to enjoy the sites and sounds of the town, but just far enough away for real tranquility. 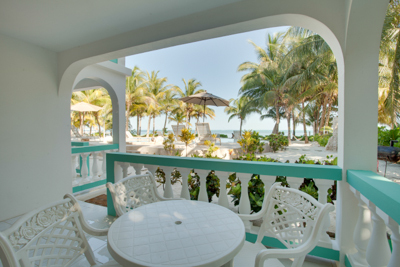 Restaurants and markets are just a few minutes walk from our villas. 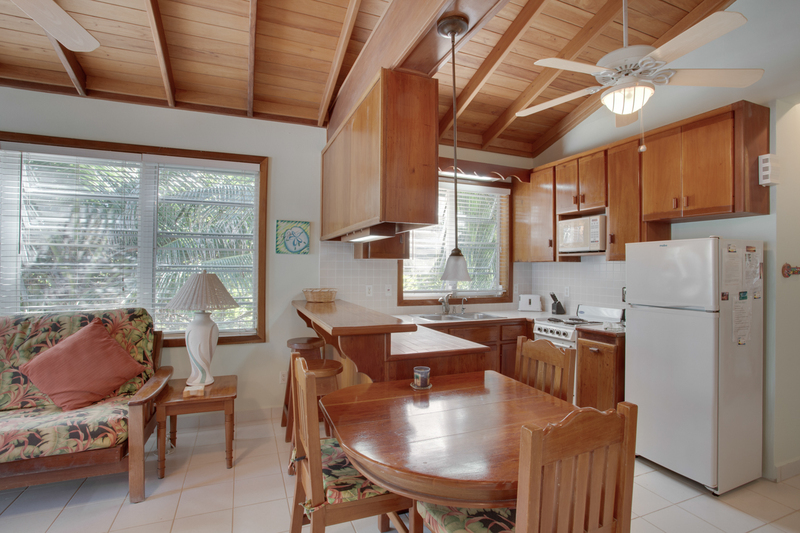 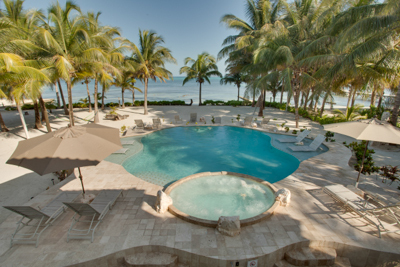 Guests can explore the island on foot, on our complementary bicycles or kayak , or rent a golf cart. 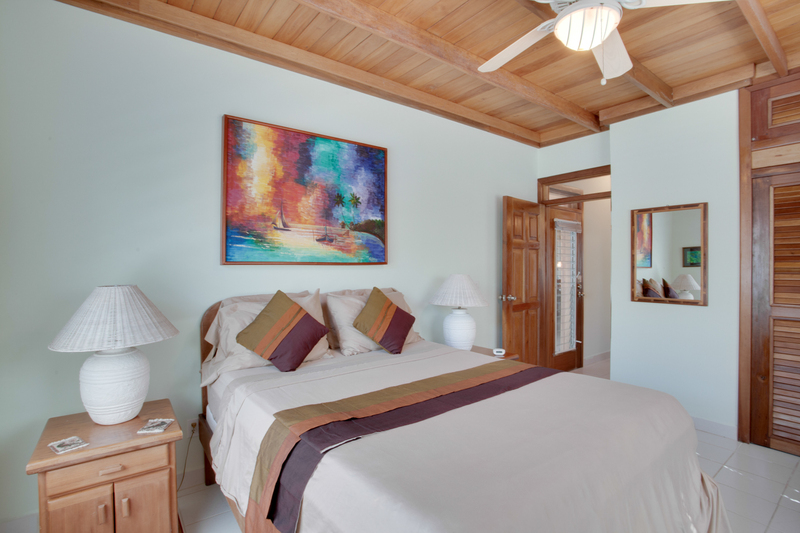 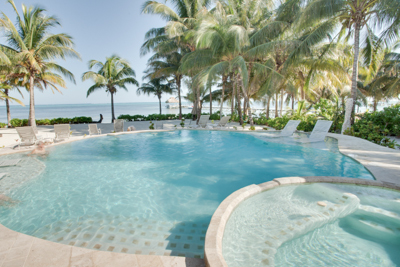 From the moment you arrive you will bask in the scenic splendor at Coral Bay Villas. 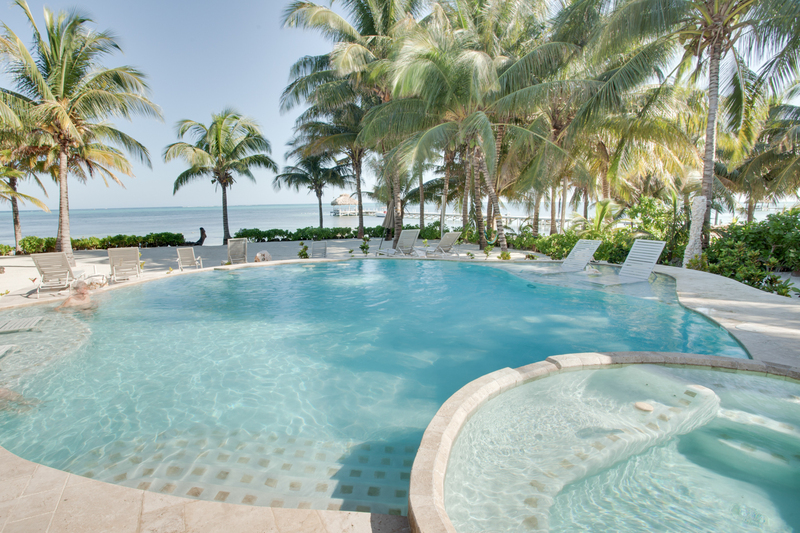 Our friendly Staff will check you in and in no time you will be feeling at home. 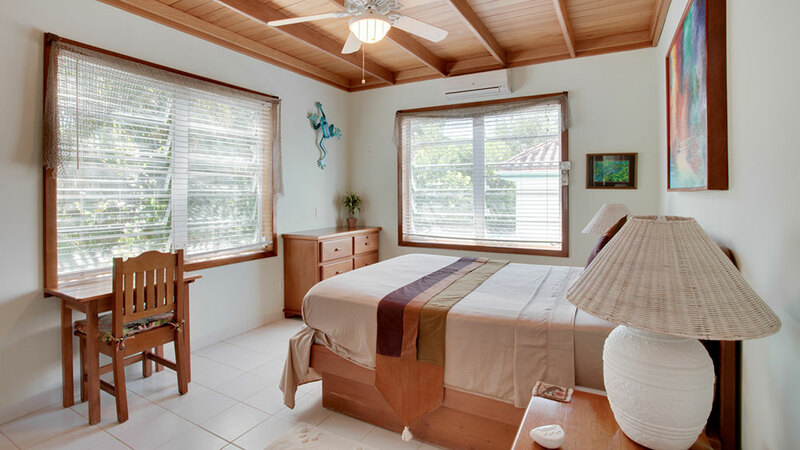 Our mission is to ensure that you take advantage of all our services and amenities, have a wonderful stay and that you will return to our beautiful island and Coral Bay Villas. 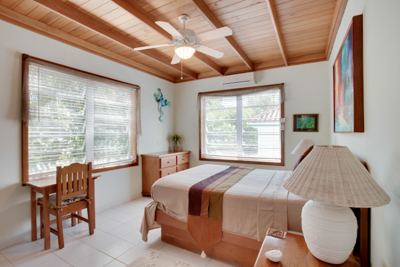 Prices are for a villa with double occupancy and not per person. 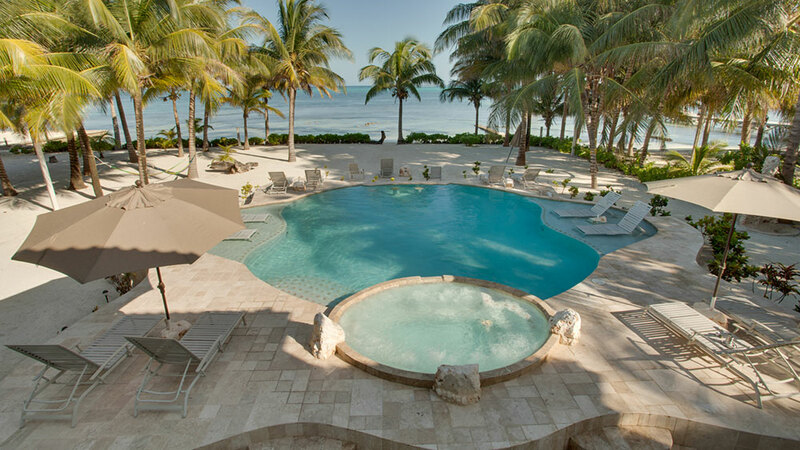 All prices in US Dollas. 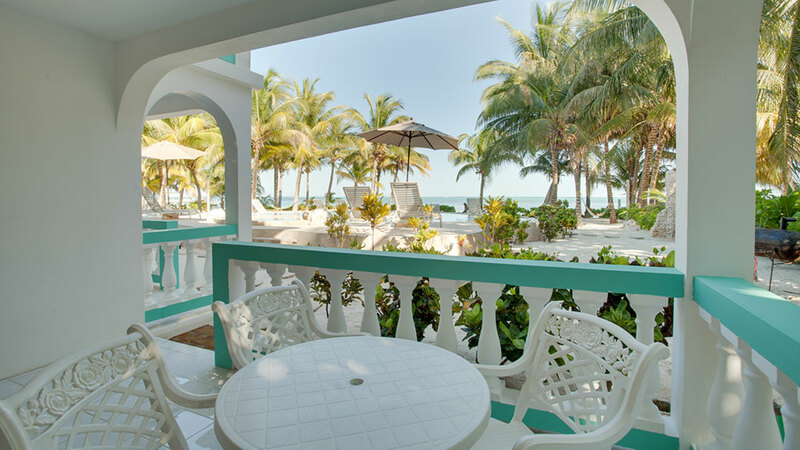 9% hotel tax not included. There is no additional service charge. 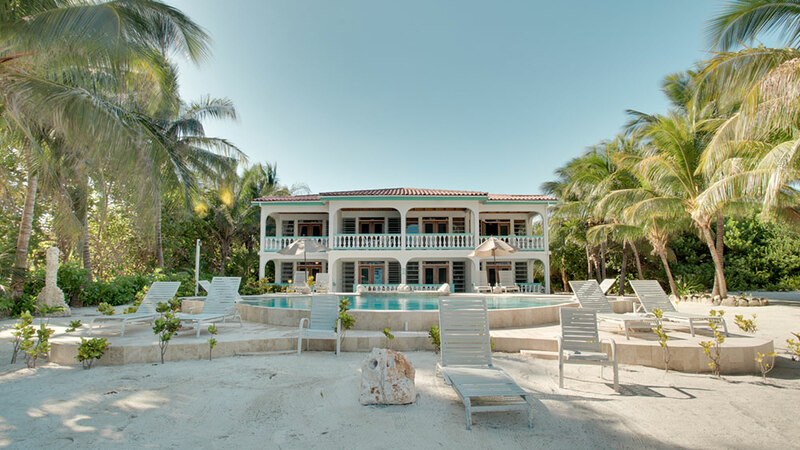 We hope you will choose Coral Bay Villas for your vacation spot and look forward to assisting you during your visit to Ambergris Caye. 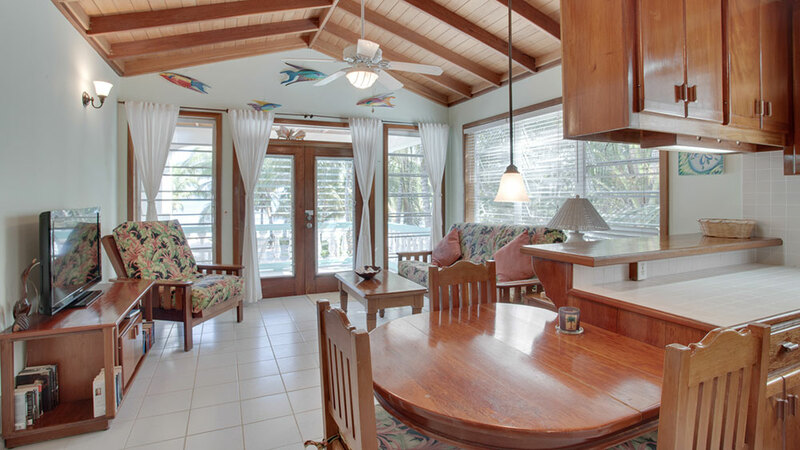 Looking to purchase your own island paradise? 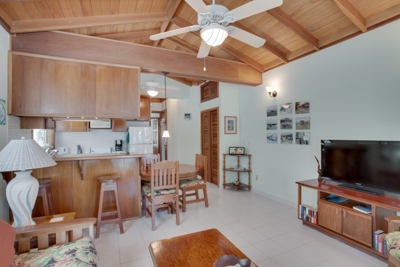 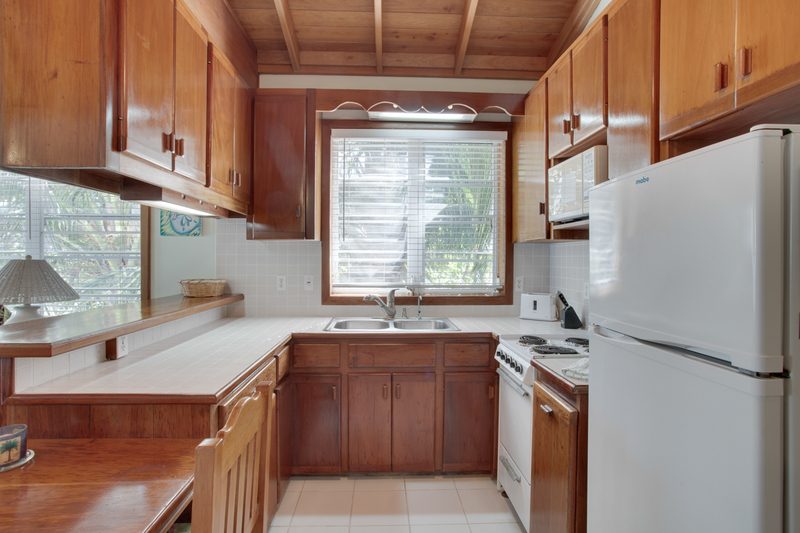 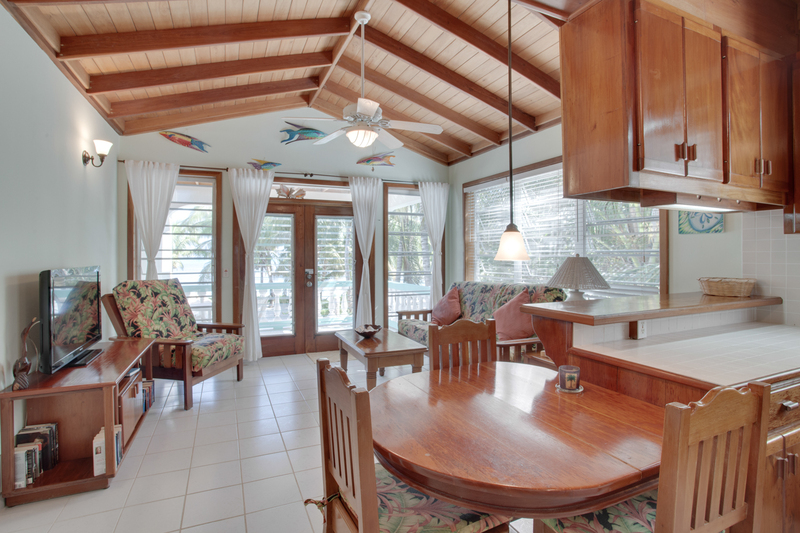 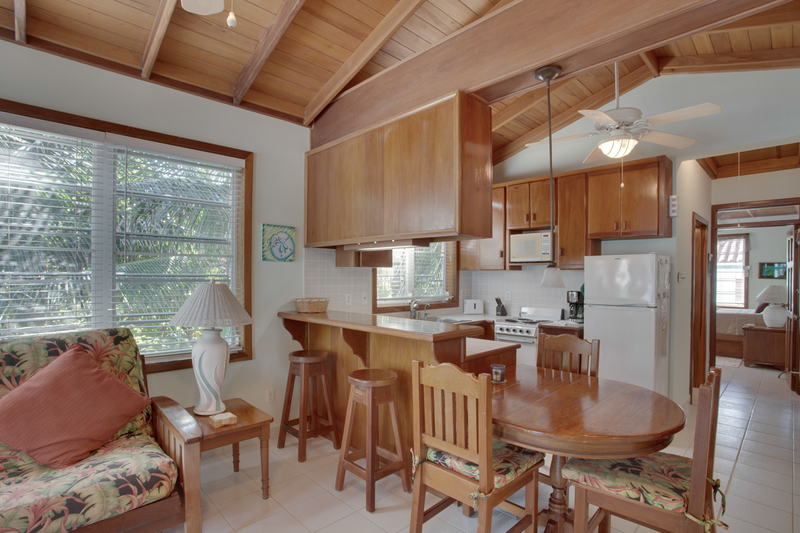 Visit Sandy Point Real Estate to find out more about real estate in Belize.